KCCK is a non-commercial, educational FM radio station operated by Kirkwood Community College. KCCK Fm enriches the cultural environment of the Cedar Rapids and Iowa City Communities through a variety of on-air programs and community outreach activities. Many of these programs center on the promotion and preservation of jazz, America’s only indigenous musical art form. 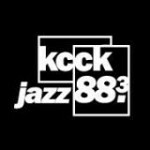 KCCK Fm is Iowa’s only jazz radio station. In addition to high-quality programs, KCCK takes jazz to the community through free concerts like Jazz Under the Stars and educational programs like Schoolhouse Jazz, Corridor Jazz Project and Middle School Jazz Band Camp. The music of the United States reflects the country’s multi-ethnic population through a diverse array of styles. It is a mixture of music influenced by West African, Irish, Scottish, Mexican, and Cuban music traditions among others. The country’s most internationally renowned genres are jazz, blues, country, bluegrass, rock, rhythm and blues, ragtime, hip-hop, barbershop, pop, experimental, techno, house, dance, boogaloo, salsa, and rock and roll. The United States has the world’s largest music market with a total retail value of 4,898.3 million dollars in 2014, and its music is heard around the world.